"Abnormal in the extreme," is how Doug McArthur, SFU professor of public policy describes the length of time it took PavCo to select Paragon Gaming. MLA Spencer Chandra Herbert says, "The sequence of the events was exceptionally fast for government." Both say a secretive, flawed process has resulted in the provincial government and a Nevada-based gaming company gaining a chance to expand gambling in Vancouver three times over. And some city officials say they aren't at all convinced that this is what the people of Vancouver need and want. 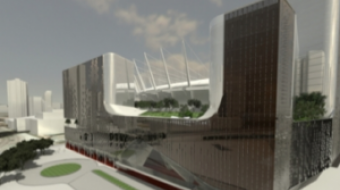 In March 2009, the BC Pavillion Corporation (PavCo) sent out a call for proposals to develop the land west of BC Place. Sixteen weeks later, PavCo selected a proposal from the Nevada-based Paragon Gaming, Inc. for an ultramodern, mega-casino. This proposal now sits in City Hall waiting for city council to vote on a development permit. But evidence suggests that PavCo, which owns the stadium land, employed a process that allowed an unusually speedy selection of Paragon Gaming as developers. "The sequence of the events was exceptionally fast for government," Spencer Chandra Herbert, NDP opposition critic of Tourism, Culture and the Arts, told VO in an interview last Thursday. "Normally a process like this takes over a year because of the need to determine that this is the best thing for the tax payers and to make sure that the bidder is on the up and up," he said. The BC Place project took place over 16 weeks from start to finish, Howard Crosley, General Manager of BC Place, operated by PavCo, said. An unusual, secretive and flawed process? 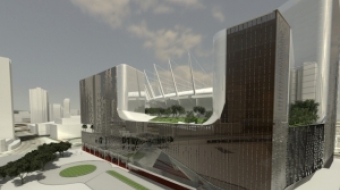 Before the casino deal was inked, PavCo had to seek approval from council for a land development project at BC Place. This process began officially in 2008, when a report from the City's Director of Planning recommended amending the False Creek North Official Development Plan (FCN ODP), to include the possibility of sub-area zoning for a casino. It is the same report that recommends that PavCo, the Crown Corporation that manages BC Place, be authorized to undertake renovations on BC Place. But by calling their project a land development, the government may have avoided the regular, lengthy and complicated process of evaluating proposals from different bidders, said Doug McArthur, SFU professor of public policy. "It could have been a public-private partnership [also known as a P3], but that office would have insisted on competitive bids. So the government put it out as a land development project, but does not seem to have followed the standard required competitive process for land development projects," McArthur said. Competitive bidding is essential if the government wants to maximize its return and protect against the perception and reality of favouring a private party with government assets, he said. "Normally for a land deal it would be done by putting the land on the market and asking bidders to set out uses, bid price, and terms and conditions." Transcripts from the BC Legislature afternoon sitting on March 23 2010 reveal that there were only two expressions of interest in the lands at BC Place. S. Herbert [NDP critic of Tourism, Culture and the Arts]: I'm curious. With the RFP [Request for Proposal] that was given for that chunk of land, how many, I guess, statements of interest or how many actual proposals came through for that site? If it's possible…. I don't know if you're able to share the names of those companies, but if not, just the number of proposals that were given that were credible options. Hon. K. Krueger [Minister of Tourism, Culture and the Arts]: There were only two respondents to the RFP, and I can't name the unsuccessful company. The details of the evaluation process, including the name of the other bidder, have not been released to the public. "They’re private. You’re dealing with a private developer who doesn’t want that information released," Crosley said. But according to Chandra Herbert, policy dictates that this information is be made available on the BC Bid website. 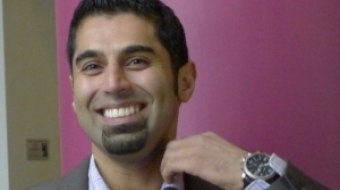 "This is supposed to increase transparency so that there’s no favouritism," he said. The documents for the BC Place proposals were never posted on that website. Chandra Herbert said he had written letters to PavCo and tried contacting the ministry but has been unable to receive this information. He initially tried contacting PavCo, who referred him to the Minister, he said, who then referred him back to PavCo, who referred him to the Minister again. Finally, PavCo told him that he should proceed with a Freedom of Information (FOI) request. Follow the BC Place casino permit debate live. Olympic Village social housing up for ransom?